We had the great honour of bringing a taste of southern African culture to my friend’s wedding in Cambridge over the weekend. A huge congratulations to the guys on their union! We had a lovely time on Friday headlining the April edition of Global Beats Club which was held at Juju’s Bar & Stage off Bricklane. Here are a few pictures taken from the night. It’s not everyday you get a call from someone who went to primary school with your brother in Botswana over 20 years ago asking you if your band is available to perform at his wedding! It was such an honour to be part of Jeyanthan and Thanuka’s wedding celebration! We wish them every happiness in their life together! Here are a few pictures from our show at Luna in Leytonstone this past Friday! It was a great night with a great crowd as always! 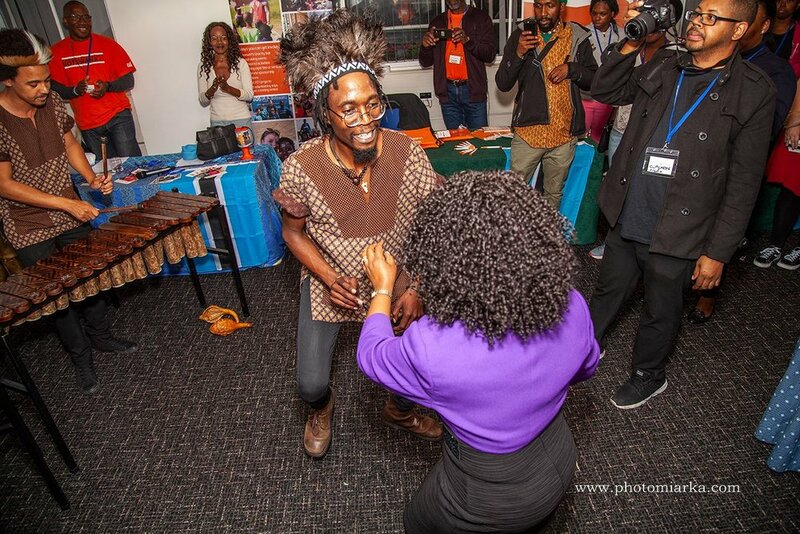 On Saturday my band and I were invited to perform at Focus Africa’s Pop Brixton take over - a lovely day of African live music, workshops and DJs. I was invited to teach an mbira workshop, which ended up including a bit of a marimba and singing workshop too. My band, Otto & The Mutapa Calling, gave a performance as well. Here are a few pictures and videos from the mbira workshop I gave on the day. The workshop group playing the Zimbabwean kalimba (mbira nyunga nyunga) and singing along to a traditional Shona song from Zimbabwe called Chemutengure. Last night my band Otto & The Mutapa Calling had the immense pleasure of performing at our first ever Global Beats Club hosted at Hootananny in Brixton. We were co support with Bamako Overground, with Afrikan Boy headlining the night. Here are a few pictures from our night at Hootananny. Soundcheck done! Costumes on! Showtime! Last night I was invited to play a few songs on the mbira at this month’s edition of Exiled Writers Ink hosted at the Poetry Cafe in Covent Garden. It was a lovely evening of African poetry with contributors from Ethiopia, Congo and Zimbabwe to name but a few. I played one of my songs, Dineo, as well as two Shona folk songs from Zimbabwe - Zvichapera and Amai naBaba. On Saturday 17th November, Otto & The Mutapa Calling officially launched their debut album, Mvura Ichanaya, at Grow Hackney in east London. The album is a self produced 9 track album that was recorded in London and includes acoustic marimba, mbira, drumming and singing. It is a colourful collection of folk melodies from across southern Africa. The opening track, and the title track of the album, Mvura Ichanaya is an adaptation of a Shona harvest song. The lyrics say “this is the year the rains shall come” – and expresses through African metaphorical speech the hope for good things to come. The second track is Dineo, an original Setswana song written by Otto which is addressed to parents, reminding them that the talents of their children come in different forms, and those less academically gifted should never be given up on. The third song on the album is Mhondoro, an adaptation of a Karanga rain making song which was inspired by the passing of a family member. Mancube is next on the album, and is a traditional Ndebele song named after a man’s wife who has gone missing. The man seeks the assistance of a traditional healer to find her whereabouts. Hondo, track five on the album, is a Shona folk song and the lyrics sung on this recording are a combination of traditional lines and slightly more modern lyrics adopted in the early 1980s during the time of independence. The lyrics celebrate the fact that independence was won because people went out and fought for it. The song closes with some soft mbira playing, bringing it back to its traditional origin and sound. Ke Ne Kele Kae is sixth on the album and another one of Otto’s original songs. The song is a reminder to young people not to neglect their homes and families as they progress in life. Track seven is the popular Sotho gospel song, Hlonolofatsa – a song that was made popular in the early 2000s by a musician called Ishmael, and is sung and recognised right across southern Africa. 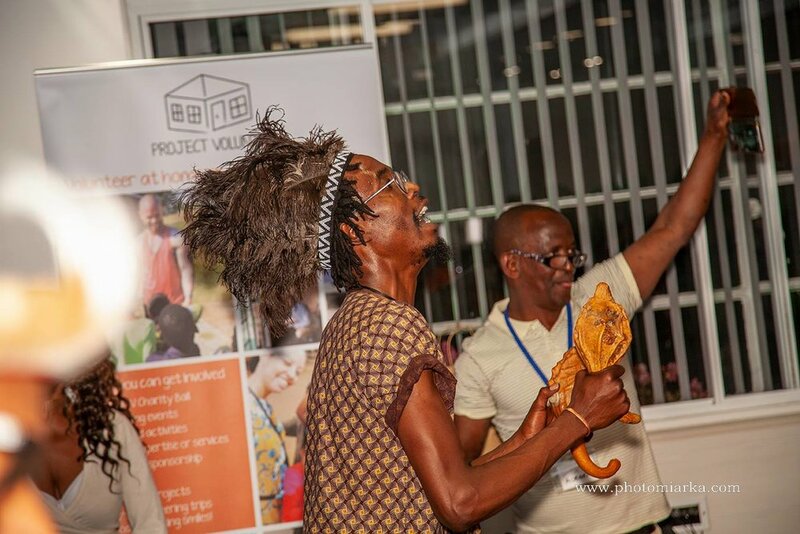 Gandanga is a Shona song from the liberation struggle in Zimbabwe where the freedom fighters sang to remind the villagers whom they sought refuge amongst that they deserved more than just scraps to eat. And lastly, the album closes with the upbeat farming song Kusarima – a song which encourages people to pick up their tools and help farm the land. The 9 track album is a starting point for the London based marimba band as they look forward to showing the world more on future recordings. Mvura Ichanaya is a perfect album for anyone looking to sample a diverse taste of southern African folk songs and rhythms. The album can be purchased from this website in physical or digital form here, or downloaded from major online stores such as iTunes, GooglePlay and Amazon. 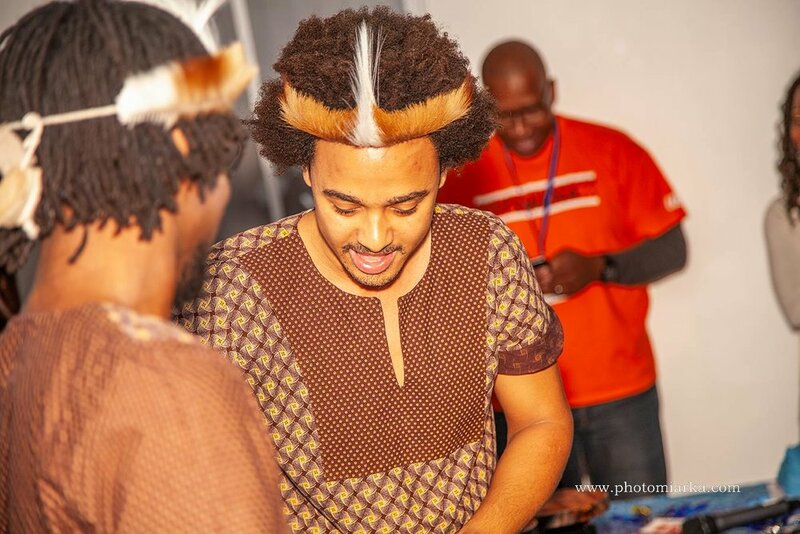 Otto & The Mutapa Calling is a lively London based marimba band playing energetic, joyful music from Botswana, South Africa and Zimbabwe, including folk songs, original songs and popular southern African covers. The band's set-up includes soprano, tenor and baritone marimbas, mbira, hosho, drumming and singing, with both traditional and contemporary dances. 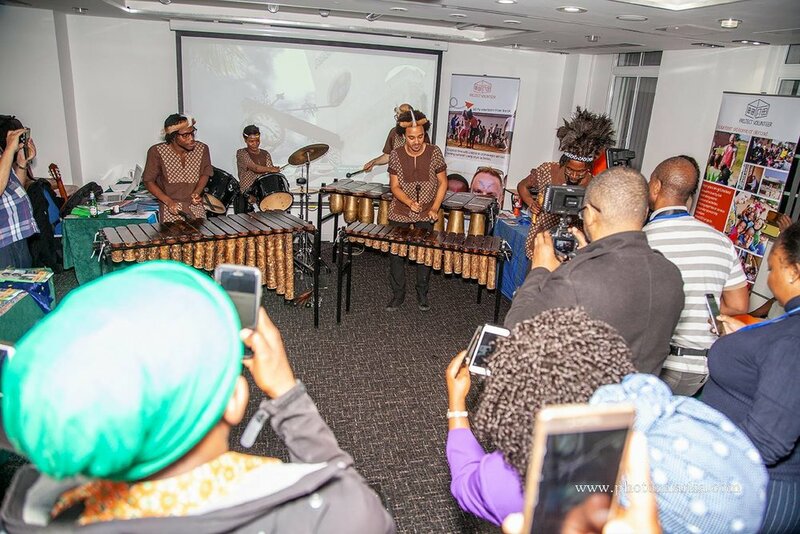 The marimba band’s sound is full of energy and pulsating rhythms - and their music shares the rich cultures, histories and stories of the people of southern Africa. Otto & The Mutapa Calling is a unique and colourful experience and is the only active professional marimba band of its kind in all of Europe. 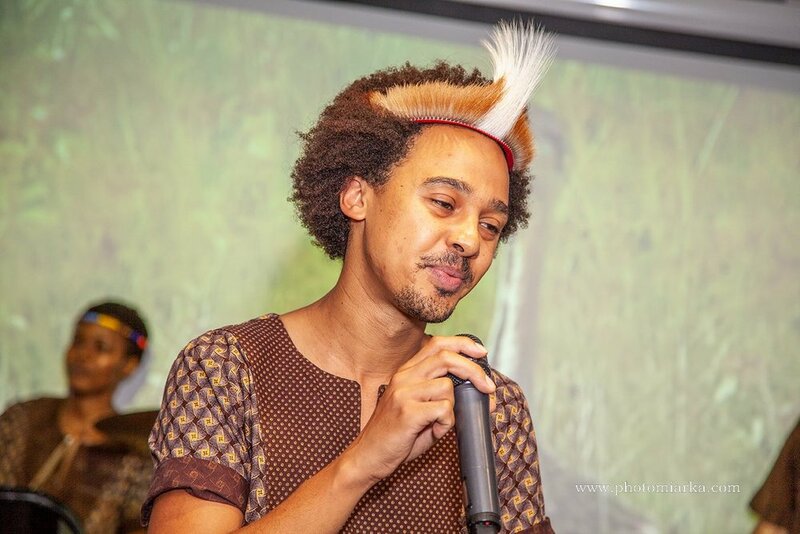 Otto & The Mutapa Calling was in full force on Wednesday night at Century in central London for Mbulelo Ndabeni’s interactive performance fundraiser night, I AM [ ] WE ARE [ ]. Here are a few pictures and videos from our lovely night in Soho. My band and I had a lovely time performing at Leytonestone Street Festival yesterday! There was a ton of great food, talented music bands and all round good vibes! It was a pleasure to be part of the action, and to perform at one of our favourite live music venues, Luna - The Home of Live Music. Here's a little clip of my song Dineo. From the Forest is London’s newest theatre and arts festival, which took place in Waltham Forest from 21st June to 1st July. Starting out as a four day festival in a single venue in the Winter of 2016, the festival expanded to over 60 shows this year, spread across multiple venues over two weeks. Championing the creation of new performances in great venues, the festival aims to provide an affordable platform for artists to showcase their material. Anyone and everyone is welcome to apply to be a part of the festival. Here are a few pictures and videos from our show. The song we're playing in the clip above is a Tswana folk song called Mangwane Mpulele. It's sung in Botswana, South Africa and Lesotho.